In this section you will find unique Parker “51” items, either prototypes, oddities, advertising ephemera or items that just don’t seem to fit in any other section. 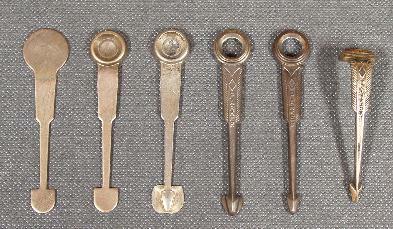 An enameled Parker “51” salesman pin. It is hard to tell from the picture, but the pen looks like a Blue Diamond Parker vacumatic “51”. To the left you can see the production stages of the Parker “51” Blue Diamond clip, from the cutout of the rough shape of the clip, to the different stamping stages, molding of the arrow at the end of the clip, to bending the clip into shape. The last stage was the painting of the actual blue diamond. To the right you can see 3 differerent Parker “51” collectors made from Buckskin Beige, Yellowstone Yellow and Nassau Green Lucite plastic, instead of the usual clear translucent plastic. It would appear that Parker was making sure that they used all their leftover Lucite wisely, probably during the war material constraints. 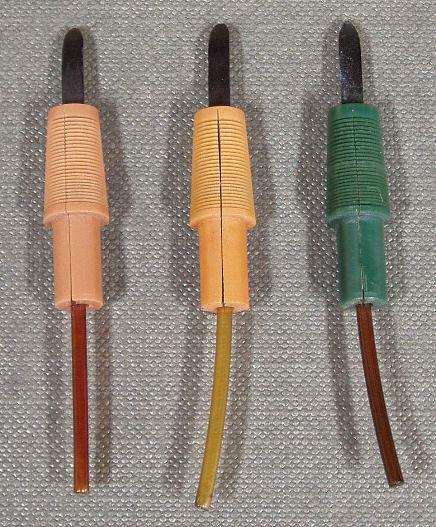 To the left is a pen with a ribbed hood, similar to the one found on pencils. This was found in a 1944 dated pen that was stamped with a person’s name using the standard Parker font of the time, maybe a special order for an employee. 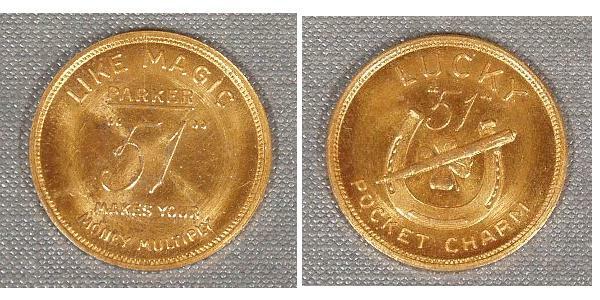 A Parker “51” Lucky Pocket Charm, ca. 1948. Its purpose is unknown, although it was probably used as a sales gimmick for the new Aerometric Filler “51′. The font used for the “51” logo corresponds to that era. A ca. 1950 “Free Trial Coupon” for the new aerometric filler “51”. A contoured hood found on a ca. 1957 Parker “51”. The hood is very symmetrical in shape and was probably a test for different grips. A ca. 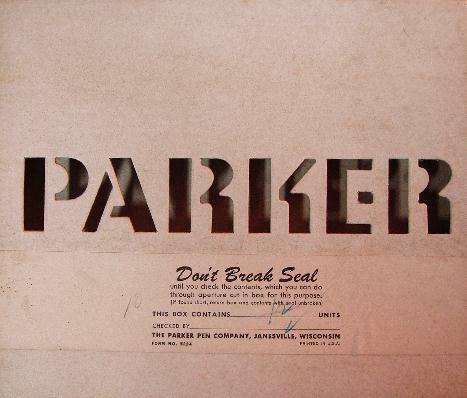 1955 Parker shipping box for Parker “51”s, looking at the top of the box. The box was sealed with tape and marked as to content. The dealer was supposed to verify contents through the cutouts before opening the box. 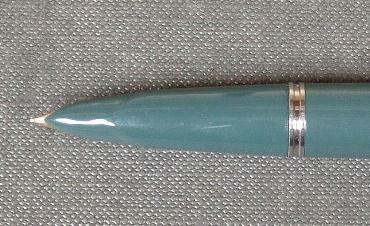 Below is a prototype by Parker, probably for the VP produced in the early sixties, done in “51” blue-green plastic of the aerometric era, with a “51” cap. 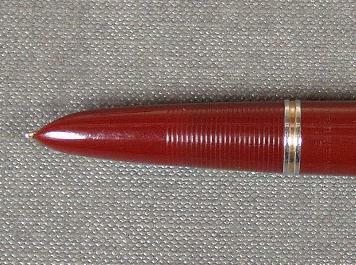 Note that the long feather clip would date this pen to the early 1950s. The filler and adjustable nib are very similar to the production VP. The cap has no clutch inside and is friction fit on the barrel, which has an integral molded clutch.